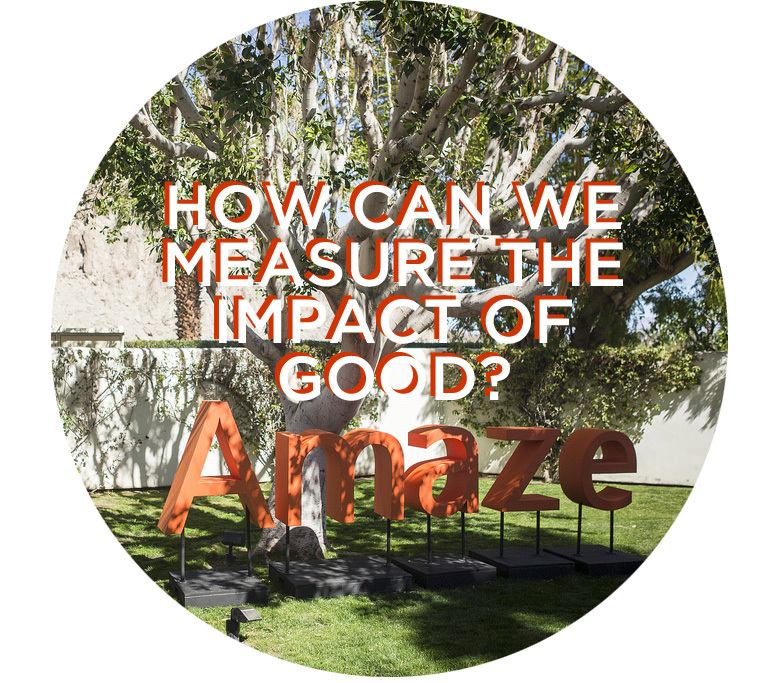 Activate: How Do You Measure the Impact of Good? The Robin Hood Foundation has spent decades supporting the most effective solutions to poverty in New York City. To find the most effective programs, they have developed a system of metrics that determines how to invest every dollar for maximum impact. A group of TEDActive attendees got together to explore how to leverage the methodology for a wider range of important issues. Help them answer these questions by posting to Facebook or tweeting with the hashtag #activeimpact. Campaigns and movements aim at raising awareness around specific issues. Rather than thinking about how to promote the Robin Hood metrics momentarily, the team explored the need to start developing a common language around measuring the impact of good in general. How might we lower the barrier of entry to engage a broader audience to start asking questions about their mission, goals and complex decision making? How might we kick start a dialogue and engage the community? How might we best introduce the basic principles of the metrics? Enabling more and different organizations and individuals to start measuring was revealed very quickly by the group as a big opportuntity. Breaking down the complexity by providing tools and resources which facilitate the assement and support tough decision making around different options and interventions became the main focus of their experiments. Which questions are key to ask? How do we make sure we address the right audience with the relevant set of questions? What’s the right format to provide information and guidance for especially first time use? Robin Hood stressed the importance of ongoing learning and iteration around the effectiveness of interventions. What if organizations and individuals would submit their interventions, collect ad share the learnings and even provide peer to peer feedback? What’s the minimum set of data needed to be captured? How can we incentivize feedback through a potential reward system? Who could curate the content and facilate connections between organization with similar goals and needs?